Don't let a banana go to waste ever again. We’ve all bought a few too many bananas and seen them quickly go from yellow to way-too-dark-to-eat brown. You could make banana bread, but why not be a little more creative? 1. 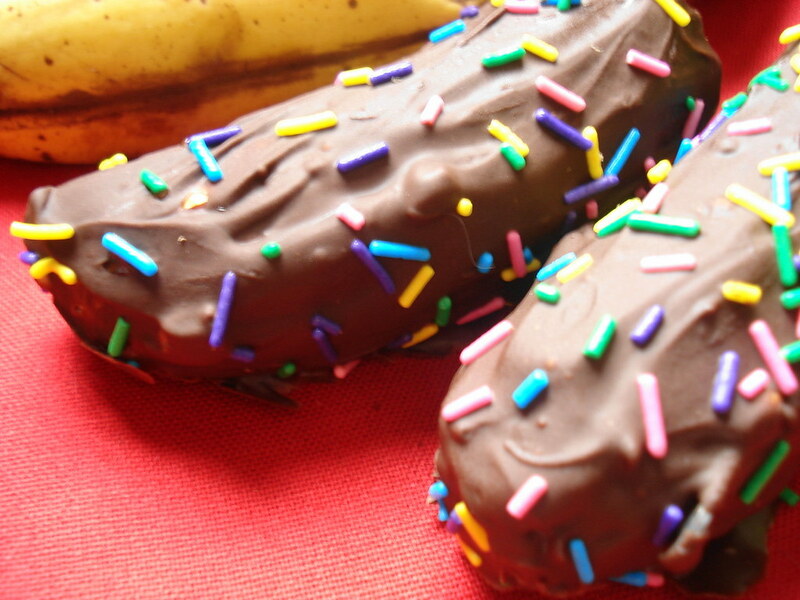 Frozen Chocolate Banana Pops. Dip frozen bananas in chocolate and roll in chopped nuts, coconut or sprinkles for a relatively healthy dessert in minutes. 2. Banana Soft Serve. No need to go to Yogurt Land when you can make your own fro yo by putting frozen bananas in a food processor or blender. 3. Pudding. Put 2 ripe avocados, ¾ cup peanut butter, two containers of Greek yogurt, 1 tablespoon vanilla extract, 2 bananas and ¼ cup of sugar in a food processor or blender. 4. Banana Rum Fizz. Combine vanilla ice cream and bananas in a food processor or blender. Put in a glass and top with dark rum and club soda. 5. Two Ingredient Pancakes. Combine two eggs and a banana, and you have pancake batter.